Cayce predicted that the so-called “Battle of Armageddon” described symbolically in the Bible would begin in 1999. Cayce foresaw that this “battle” will not be a war fought on Earth. Rather, it will be a spiritual struggle between the “higher forces of light” and “lower forces of darkness” for 1000 years of Earth time. The reason for this struggle is to prevent souls from lower afterlife realms from reincarnating to Earth. By preventing souls from the lower afterlife realms from reincarnating to Earth, only enlightened souls will be permitted to reincarnate. The result will be 1000 years of building a world of peace and enlightenment. After 1000 years, souls from lower afterlife realms will be permitted once again to reincarnate to Earth. By this time, the so-called “kingdom of heaven” will have been established on Earth. Cayce foresaw the possibility of a third world war. He spoke of strife arising near the Davis Straits, and in Libya, and in Egypt, in Ankara, and in Syria; through the straits around those areas above Australia, in the Indian Ocean and the Persian Gulf. Given the wars in Afghanistan and Iraq and the tensions in the Middle East right now, such a war could certainly be a possibility. Since the Middle East unrest and the war against Libya this prophecy stands in the picture, this is the proof that Edgar Cayce really had a vision about this third world war, but it can still be stopped ! Like all prophets say : The future can always be changed by humanity, God gave them a free will !!! Cayce often maintained that humanity would soon experience a “day of reckoning.” He predicted the year of the second coming of Jesus to be 1998. Critics who are not very familiar with the Cayce material have pointed out that 1998 has come and gone and the second coming has not occurred. Such critics wrongly expect the second coming to happen when Jesus appears in the sky with a chorus of angels while Gabriel blows a horn and dead bodies crawl out of their graves. This idea of the resurrection was the result of a misunderstanding of the concept of reincarnation – the ancient concept of birth and rebirth. A new field of science will be developed based on a psychic/spiritual phenomenon Cayce predicted in September, 1939, that when there is the same interest or study given to things or phases of mental and spiritual phenomena as has been and is given to the materialized or material phenomena, then it will become just as practical, as measurable, as meter-able, as any other phase of human experience. Cayce did not specify a time frame, he specified a condition, placing as much research emphasis on the spiritual/occult phenomena as material causation. It would be nice to think that Cayce was referring to near-death research which would fit the description of the science he is referring to. Until we know more in the future, we will have to assume that this prediction is still pending. Cayce provided a major clue that astronomers have not yet taken up: the discovery of the revolution of the solar system around a star system composed of Arcturus and the Pleiades. Major archeological discoveries concerning human origins will be found. Cayce predicted that there will be three profound archeological discoveries of a very ancient and important nature that will revolutionalize the way we understand human origins, cosmology and religion. Cayce stated that this will occur when humanity reaches a higher level of spirituality. The three repositories mentioned are in Egypt (near the Great Pyramid), the Bimini area (where the possible portion of Atlantis has already been discovered), and the Yucatan (the location where the asteroid that killed off the dinosaurs). If there are greater activities in [the volcanoes] Vesuvius or Pelee, then the southern coast of California and the areas between Salt Lake and the southern portions of Nevada, we may expect, within the three months following same, inundation by the earthquakes. But these are to be more in the Southern than the Northern Hemisphere. The widespread destruction in Los Angeles and San Francisco as well as in many portions of the west coast will occur. Earth changes will occur in the central portion of the United States as well. NDE researcher Dr. Ken Ring discovered that many near-death accounts he was studying foretell future Earth changes such as earthquakes, volcanoes, a pole shift, strange weather patterns, droughts, famines, tidal waves and a new social order followed by a golden age. These NDE visions of the future agree completely with the Cayce predictions described below. With the shifting of the Earth’s magnetic poles that began in 1998 will come a gradual melting of the polar ice caps and eventually cause inundations of many coastal regions resulting in a drop in the landmass of about 30 feet. In 1941, Cayce elaborated on this effect: “As to conditions in the geography of the world, of the country — changes here are gradually coming about … For, many portions of the east coast will be disturbed, as well as many portions of the west coast, as well as the central portion of the U.S. In the next few years land will appear in the Atlantic as well as in the Pacific. And what is the coast line now of many a land will be the bed of the ocean. Even many battle fields of the present will be ocean, will be the seas, the bays, the lands over which The New World Order will carry on their trade as one with another. Who was Edgar Cayce ? Tunis – Egypt – Libya and the Edgar Cayce Prophecies ! Sept. 1 2011 is 42 years since Omar Kadaffi came to power in Libya on Sept. 1 1969. A Significant date because of the number 42, the Antichrist is said to rule 42 months in Revelation. Kadaffi is not the AntiChrist but these 42 months could be related to Russia and the rise of the Antichrist Vladimir Putin. This could be a key event! The key to unlocking Baal from his cage, and beginning great chaos in the world and the rise of the evil one! Gaddafi isn’t the Antichrist, but in prophecy he is related to the one who is the Antichrist, Putin! So watch out for how world events unfold if Kaddafi’s rule in Libya will end. Note that the Biblical name for Libya is Put, as in “Put-in”, Putin back in power in Russia, he will be re-elected as Russian President in 2012. Note that in Biblical times there was Baal worship in Libya, and note that Tripoli the capital of Libya is at 33N 13E, Revelation 13 being about the Antichrist. Somehow Gaddafi in Libya could be the key. Note the Lockerbie bombing, lock as in key. Key to the bottomless pit that the Antichrist comes out of? Gadaffi could be the key to disastrous events occurring, the opening of the bottomless pit, and the rise of the Antichrist Putin. So watch what is happening in Libya. The King James Bible Code. The “Bible Code” is a way of looking for hidden prophecies and passages in the Bible, by using a software program to search for messages in the Old Testament Hebrew text. The spaces between words are eliminated, so that the Old Testament is a continuous block of Hebrew letters. Then, by skipping letters at a programmed interval, the program searches for words. There appear to be patterns to the passages where the words are found, and what words are clustered together. Consider the Lockerbie plane crash trial, of the Lockerbie bomber from Libya. Note that the Lockerbie trial in the Netherlands began near the time of the May 5, 2000, planetary alignment, 2 days before the inauguration of Russian President Putin. Note that Putin is from St. Petersburg, Russia’s sea-port, and note that the Antichrist rises out of the sea in Revelation 13. Note that the Lockerbie trial was held in the Netherlands, which is by the sea. And note that the land of “Put” (sounds like “Putin”) mentioned in the Bible is believed to be Libya, and Libyans were on trial in the Lockerbie trial. 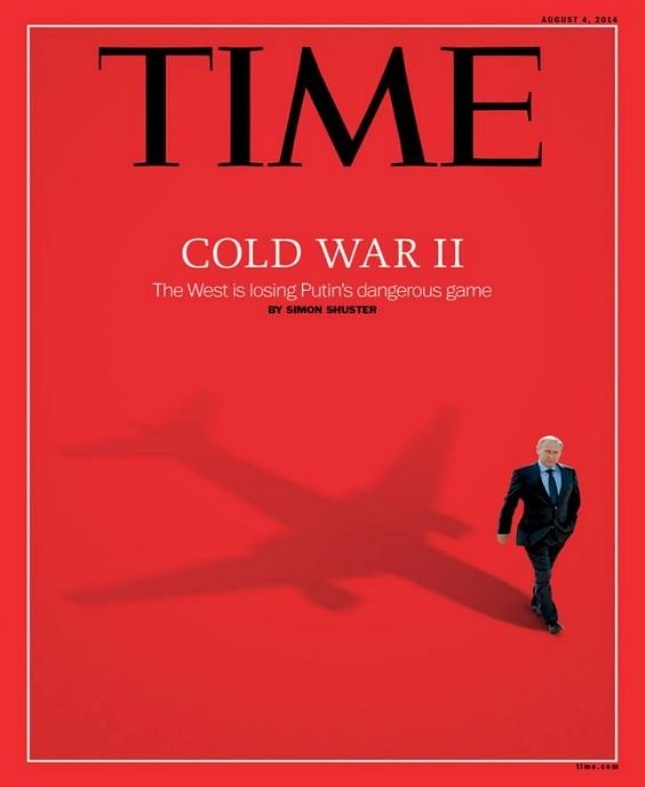 So the Son of Satan, the Antichrist, Putin, may have been “unlocked” and set loose on the world in Russia at the time of the Lockerbie trial beginning, in May 2000. But keep in mind that also “Osama Bin Laden” was so-called burried at sea, there where little photos because Bin Laden was shot in the head. The Beast in Revelation rises out of the Sea and also note the Head Wound in the Bible. And note that although 1 Libyan was found guilty in the trial, the other Libyan was set free. That may be the symbolic meaning of the Lockerbie trial. Also note that “B” may correspond to the evil False God Baal or Beezlebub, in Babylon, as “Alpha” (A) and Omega correspond to Christ. Baal was locked up in the KGB (“cage” or prison for B- Baal) since the Russians defeated Hitler, put East Germany under the Iron Curtain, and since Putin was in the KGB. So Putin the Baal/ Antichrist was in the KGB cage. “Lockerbie” may represent a “Locker” or “cage” for B-Baal. Once the Soviet Union started to disintegrate, Baal was released from his prison, and now Baal is loose in the world as Putin. The Lockerbie plane crash occurred on December 21, 1988, when Pan Am Flight 103 from London to New York City exploded over Lockerbie, Dumfriesshire, Scotland. All 259 (243 passengers plus 16 crew members) on the aircraft died, and 11 people on the ground died. First consider the name “Lockerbie”. This brings to mind the word “lock”, and the “keys of hell and of death” Biblical quote (King James version) from Revelation 1:18. It could also relate to Satan being “loosed from prison” as the Antichrist. Also, the Lockerbie crash occurred on the day of St. Thomas on the Catholic calendar, December 21. The significance of the crash being on the day of St. Thomas may relate to the idea that Christ’s disciple Thomas may actually have been the twin brother of Christ, since “Thomas” actually means “twin”. This idea was suggested in early writings from Biblical times that did not become part of the Bible. Another thing I noticed when reading about this plane crash is that a large chunk of it landed intact with the plane’s name “Maid of the Seas” clearly readable on it. This may relate to the Book of Revelation chapter 13, since the Antichrist (the beast) of Revelation 13 comes from the sea, meaning the sea of politics. What Middle Eastern countries will next see revolution? Where will these revolutions lead to? It will not work out well, even in Egypt people are demonstrating again, normally in September 2011 there will be elections in Egypt but, the number one in Egypt is the Muslim Brotherhood. Today tensions between Egypt and Israel are high. The next country NATO will invade is Syria, not NATO but Turkey will invade Syria from the North/West with the help of the US and NATO. This and the Sep 2011 elections in Egypt could be the final push to World War III, after wat NATO did in Libya the Russians and China will not sign a new UN agreement to “help” and “defend” the people in Syria. 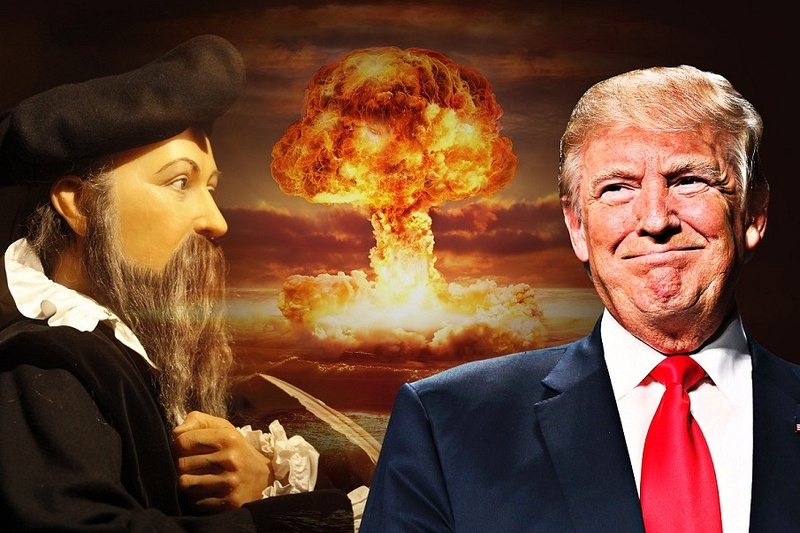 The next step could lead to disastrous events and war in the Middle East, described in the prophecies of Ezekiel and Revelation 16, the Battle of Armageddon. The Vladimir Putin AntiChrist Timeline !